Sydney’s historic Queen Victoria Building (QVB) will soon receive a major makeover to become an international and luxury shopping destination, reports The Australian. The building’s owners, the ASX-listed Vicinity Centres and Singapore’s sovereign wealth fund, intend to use the makeover to tap into rising Asian tourism and the shift to premium goods. The Romanesque Revival building sitting on a city block across from Sydney Town Hall recently celebrated 120 years of trading and is already home to international retailers Coach, Furla, Longchamp and Salvatore Ferragamo. “It’s an iconic building with an extraordinary population catchment with unrealised potential,” Vicinity chief executive Grant Kelley said. It’s a long way from the “Tear down this city horror” battle cry issued by Sydney’s Daily Mirror in 1961. Lord Mayor Harry Jensen was among the “leading architects and town planners” calling for the immediate demolition of the building for a car park and civic square, with Harry Seidler calling it “an architectural monstrosity”. Plans for its demolition were halted, however, by a wave of protest, with a group dubbed Friends of the Queen Victoria Building forming and Sydney residents, including Barry Humphries, rallying behind the building. After initial proposals to use the building as a hotel, casino, museum and apartments, the Sydney council accepted a proposal from Malaysia’s Ipoh Garden Berhad to restore it for a shopping centre with a 99-year lease. 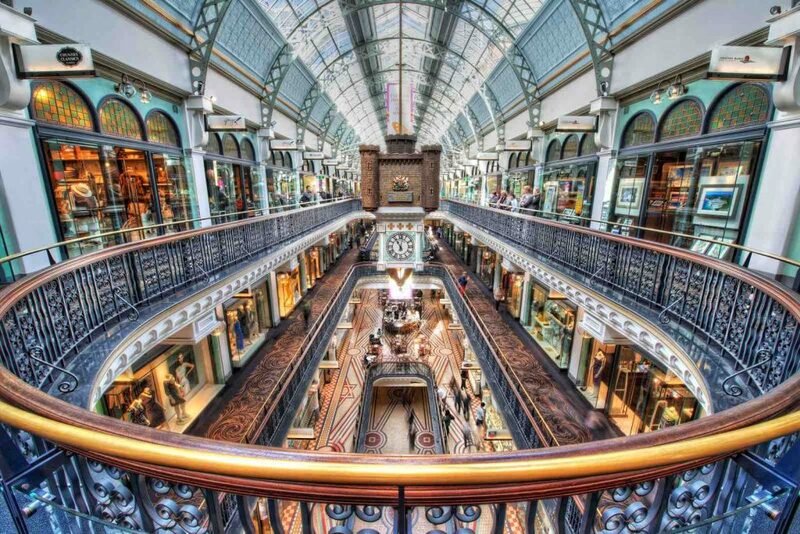 In 1986, the QVB finally emerged as the stylish retail cathedral that is now genuinely beloved in Sydney. Vicinity gained a half-interest in QVB, nearby Galeries and The Strand Arcade in a $1.1 billion swap with Singapore’s sovereign wealth fund GIC a year ago. In return, GIC now owns a half-stake in Vicinity’s Chatswood Chase shopping centre on Sydney’s lower north shore. With modern retailers under pressure from fast-growing online players such as Amazon, Mr Kelley said the best-performing retail centres are either large destination centres or convenience retailing. The market in between the two segments is likely to face the most pressure. “The area that you can’t be in is to have neither scale nor convenience — that’s where you will see a lot of the redundant space in retail,” he said. In centres that didn’t meet changing trends, a proportion of the site would move to uses other that retailing over the longer term, Mr Kelley said. Landmark centres with an emphasis on food, leisure and entertainment worked because “human beings loved to congregate”. “There are growth pathways but we have to get smarter about the way we think about the customer and how we go to market,” Mr Kelley said. At QVB, which has 160 stores, Vicinity has struck deals with five new international and local fashion brands that are expected to be announced next month as it pursues its strategy. There will also be a greater emphasis on food and beverage.